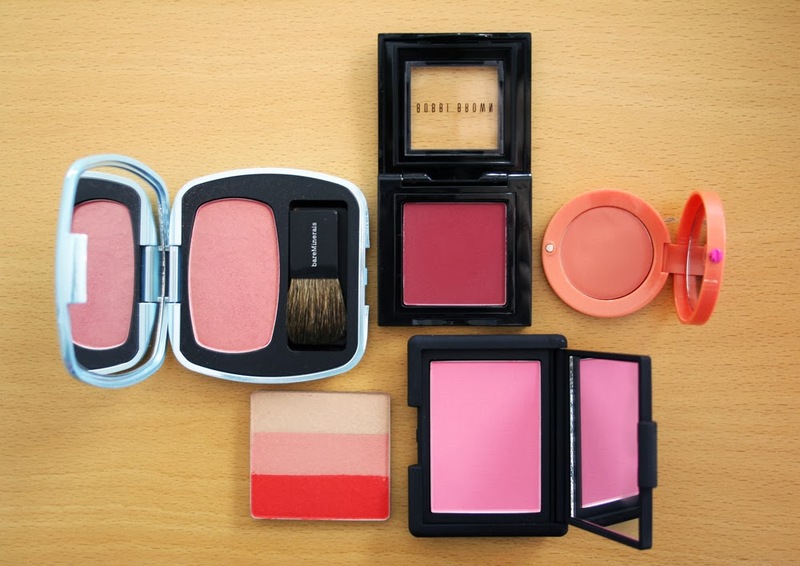 Today is the first in a series of posts that I’m calling the Blusher Masterclass - it details everything you need to know about creating the most beautiful, natural-looking flush. I’m kicking off with choosing the right shade of blusher to work with your skin tone - something that, unbeknownst me, I haven’t had figured out all that long. I have cool skin, light hair and blue eyes and have been prone to wearing peaches, which, if you read on, are deemed far too orange to flatter my colouring. Porcelain skin is eminently pale with apricot undertones and, rather turning a tawny hue, is prone to burning easily. On you a pretty, yellow-toned peach can really lift your skin, while a matte finish makes it utterly seamless for a fresh and natural effect. This is the category I fall into; I’m pale with cooler undertones, and as such, I suit blue-toned lipsticks and foundations which err on the pinker side. Pretty ballerina pinks and dusky roses bring life back to this skin, though take note, they don't tend to wear so well with a full-on face of bronzer. Light olive skin works beautifully with almost any blusher shade. Pick from plums, pinks and apricots, or even reach for brighter hues. To narrow it down, a shimmering peach will really boost your complexion, lending a pretty, sun-kissed effect while cancelling signs of dullness. Much like lighter olive skin, you can also afford to experiment, and your skin is able to carry off more dramatic washes of colour. Plums in particular lend a warmth and freshness to your cheeks, plus they come with the added bonus of dialling up the sparkle in the whites of your eyes. Your skin can handle the most beautiful and bright of blusher shades; you can even veer into neon territory with cream or liquid pigments. Try a fresh wash of raspberry on the apples of your cheeks, or work a shimmering orange along the cheekbones to subtly contour.